The other day I ordered a Spinach salad. In this salad there was chicken, feta cheese, purple onions, mushrooms and tomatoes. It’s a delicious salad and I don’t like things going to waste. I had leftovers the next day and I wanted to make something different. 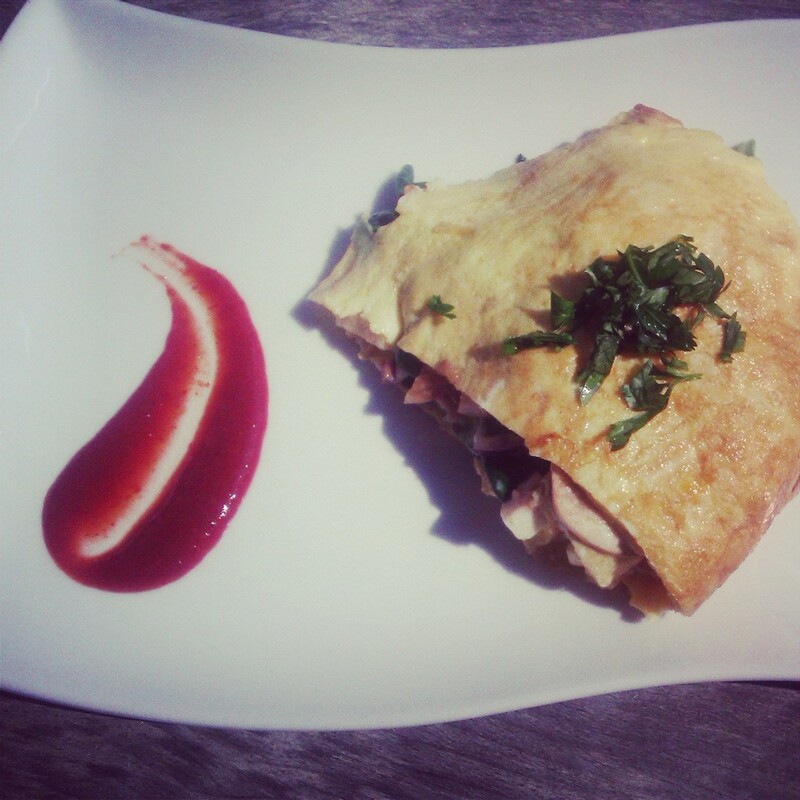 I went for an omelet and it turned out great. I had enough salad to make a large omelet for my husband and I. Take 5 eggs, and beat them well, added some salt and pepper to taste. Then I placed 2 tablespoons of unsalted butter in a large skillet on medium high heat. I poured the beaten eggs into the skillet, and made sure that alot of the runny egg was spread well around the pan. Then I placed the leftover spinach salad on to the omelet, and folded the omelet over. (It will look like a big taco). I know alot of us don’t like to waste food and sometimes get bored with eating the same thing the next day; so why not jazz it up. Enjoy! Next Post Philly Beer Week is Back! !